As always, the JKB delivers its brand of both challenging and uncompromising mixture of Jazz, Rock, Funk, Blues and all points in between for us to enjoy. In this truly remarkable album Julien used a variety of our pedals to create his tonal palette. We are happy and honoured to offer 2 excerpts from “Trance Groove” on our site, where Julien is using JAM pedals. We cannot recommend JKB’s music enough to everybody who have a discerning ear for great music and great guitar tone. 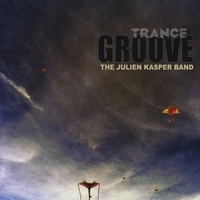 Trance Groove excerpts Carolina Rosa excerpts www.julienkasper.com Thank you Julien, we are true fans!